← The NEW Wilson Audio Sabrina loudspeaker driven by The PrimaLuna DiaLogue Premium HP Integrated Amplifier! Full Review of The PrimaLuna DiaLogue Premium HP Integrated Amplifier! By Jon Myles of Hifi-World! Jon Myles has reviewed The PrimaLuna DiaLogue Premium HP Integrated Amplifier in the June 2015 issue of Hifi-World magazine! 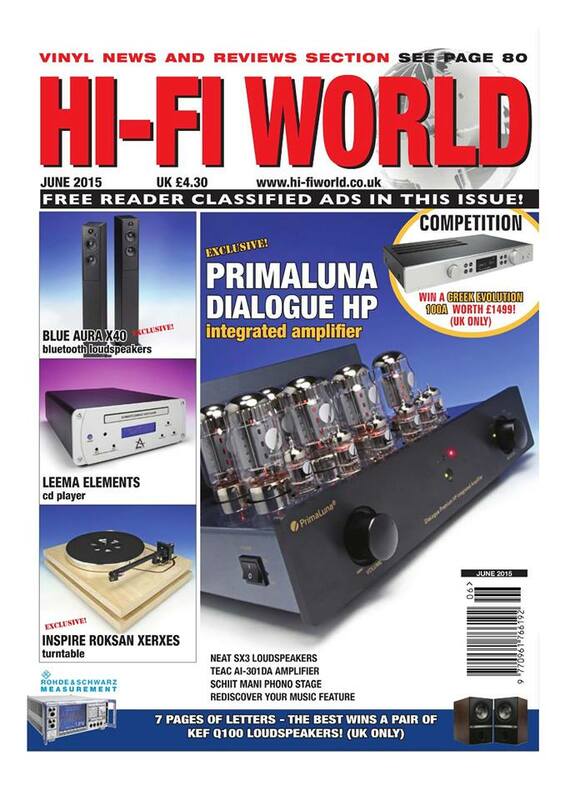 Hifi-World has placed The PrimaLuna DiaLogue Premium HP Integrated Amplifier at their frontcover! Thank you Hifi-World magazine and Absolute Sounds UK for this present! Check out HERE the website of our UK distributor Absolute Sounds! This entry was posted in DiaLogue Series, Distributors, Funny stuff, PrimaLuna, ProLogue Classic Series, ProLogue Original Series, ProLogue Premium Series, Reviews, Technology, Versterkers - Amplificateurs and tagged Absolute Sounds UK Distributor PrimaLuna, Hifi- World, Review PrimaLuna DiaLogue Premium HP Integrated Amplifier. Bookmark the permalink.